I have been doing a bit of reading lately about the life of peasants. Mostly in the recent past as you would be hard pressed to find a peasant these days. I call myself a Post Modern Peasant and have a keen interest in living a sustainable life style in this modern and very complex first-world situation. I am rather interested in the self-reliant nature of the life of peasants. 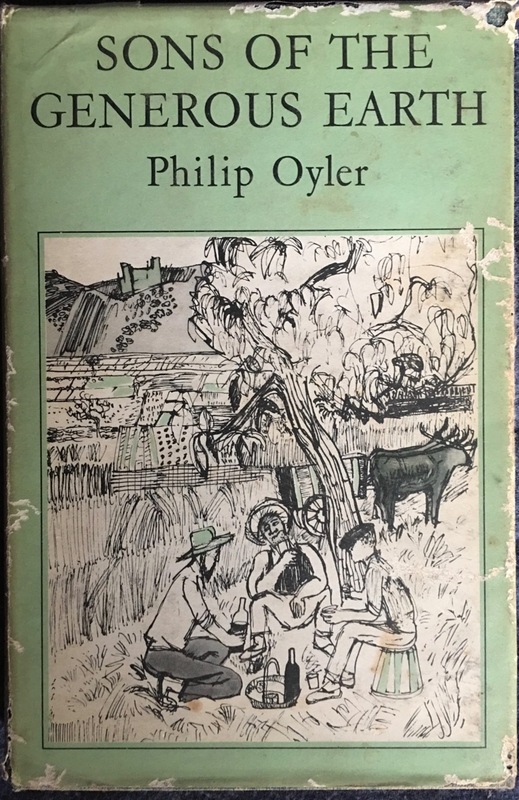 Some of the books that i have read are by Philip Olyer. 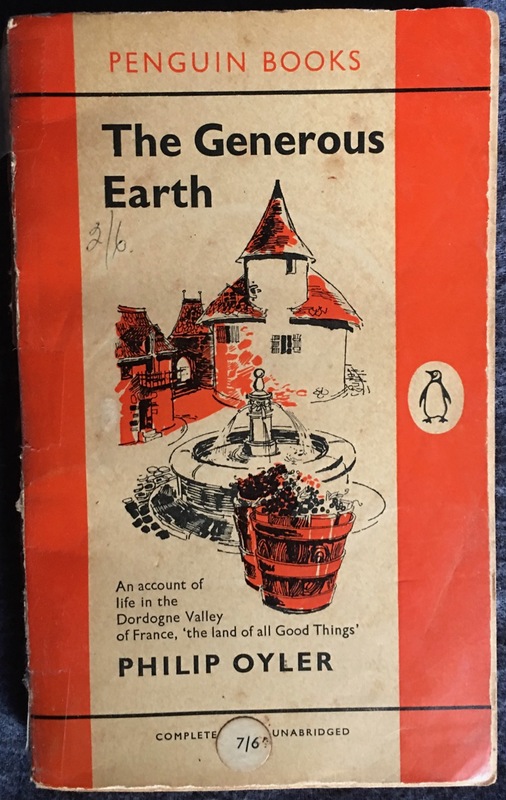 His best in my opinion is ‘The Generous Earth’. recounting his life among the French peasants in the Dordogne Valley, early last century. His second book on the subject wasn’t very good, or at least not as good as the first. It struck me that it was all the rejected anecdotes that were edited out of the first volume. I’m not saying that I didn’t enjoy it, just that the first volume was so much better. I learnt quite a few things about the way the French peasants of that time prepared and preserved food. 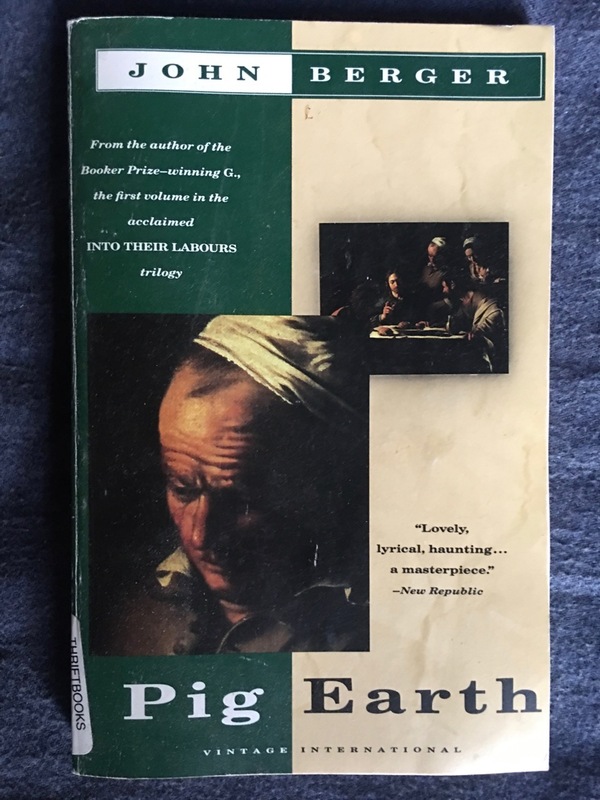 Pig Earth on the other hand has a lot less about the growing, preparation and preserving food, but still a reasonable read with some gritty insights into the harsh reality of their lives. 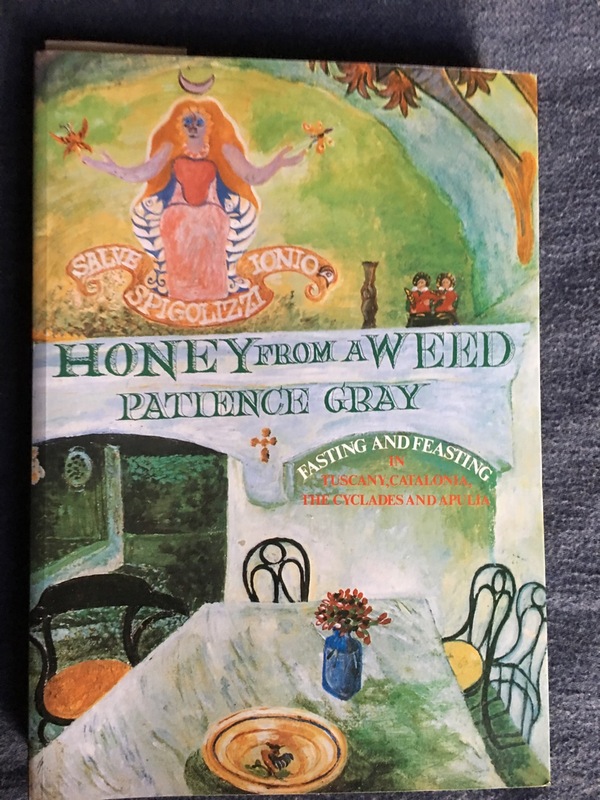 By far the better of these two is Patience Grey’s Auto-biography ‘Honey from the Weed” the story of her life of living with her stone-carving, sculptor-husband in and around the Mediterranean in Spain, Italy and Greece. They have no money and learn to live with the locals, like the locals, in small, isolated hamlets, way off the beaten track, up in the mountains, close to the marble quarries. Living so close to the local peasantry and quarry workers, in particular to their wives and grandmothers, gains her particular insight into the intimacies of their daily existence. The writing is a touch clumsy in places and isn’t particularly sequential, more of a series of vignettes strung together under particular headings like cooking with pulses. 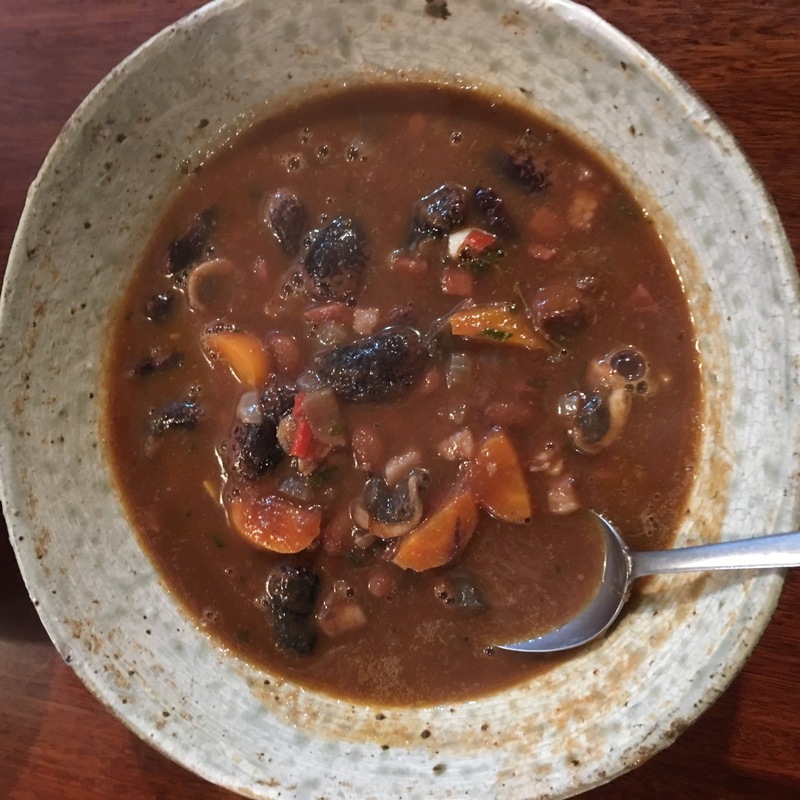 Here are several recipes all involving dried beans of varying origins, sizes and form, from fresh to dried. This section is followed by a long passage on farting! I was moved, pun intended, to cook up a meal of our own dried beans from last summer. We grow a lot more beans than we can ever eat fresh off the bush from the garden. 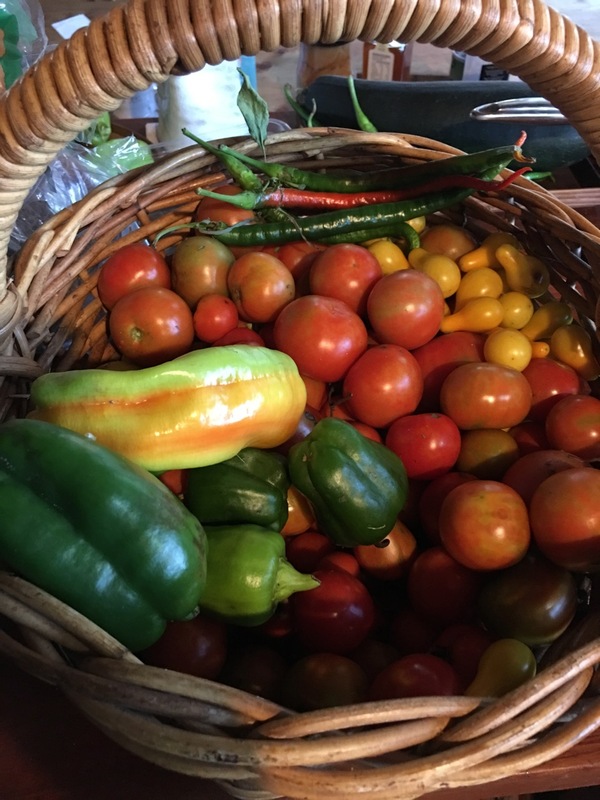 We let them all go to seed and dry on the bush or trellis. This years crop are starting to dry off now and will soon be ready to harvest. This being the case, I thought about the last couple of jars of dried beans in our pantry cupboard from last year. I used half of them and soaked them over night, changing the water every few hours, or when ever I was passing and thought about it. I boiled them for an hour. The time it takes to boil dried beans varies with their age. One year old beans like these take about and hour. fresh picked and dried beans only take 20 to 30 mins. After 15 mins I changed the water again. Patience Grey recommends boiling with a pinch of salt or bicarbonate of soda for the first 1/4 hour. 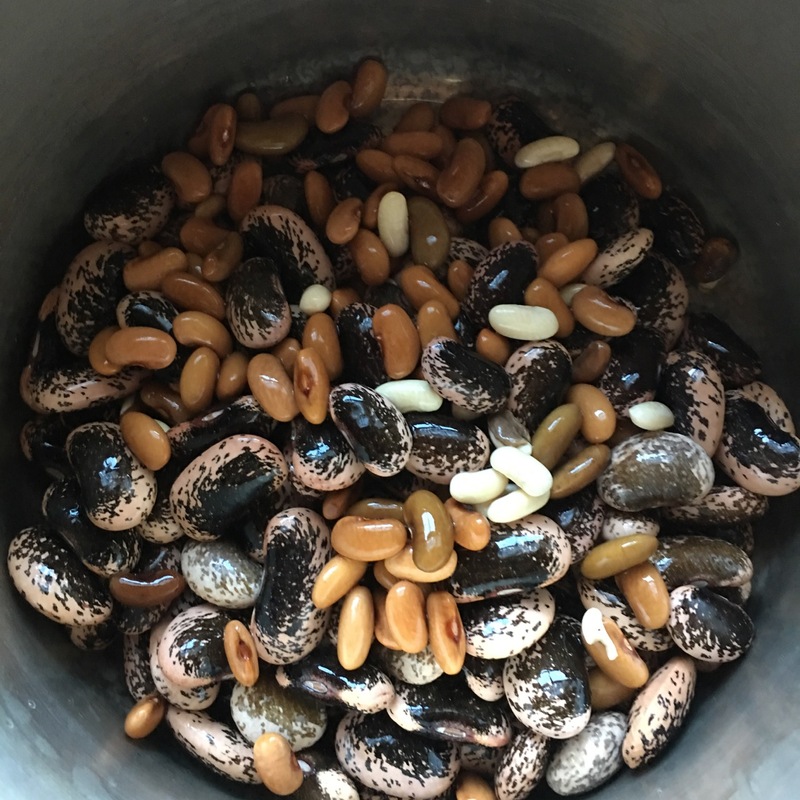 This then requires the change of water, she also suggests boiling the beans with bi-carb helps loosen the outer skins, such that they can be rubbed off. This she says that this reduces the ‘fartyness’ of the resulting meal. Our son is a Chef and has worked in some very high-end restaurants with ‘Chef’s Hat’ awards. He also told me this, that when cooking chick peas for example, pre-boil them until you can rub the outer skins off between two tea towels. then replenish with fresh water and finish the cooking. This is worth the effort, because it results in happier customers the next day, or later in the week! I don’t have customers, so left out the bi-carb and the de-skinning. While the beans are boiling. 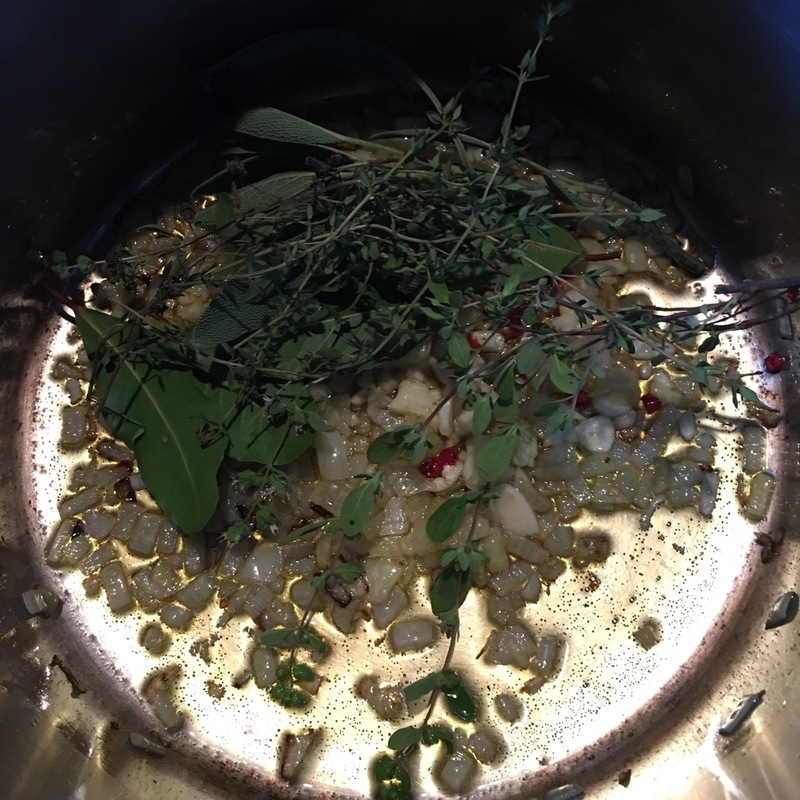 I make an aromatic oil frying a finely diced onion and some fresh herbs and bay leaves in olive oil, finishing with a few smashed garlic cloves. I add in a small amount of diced, dried, smoked, nitrite-free bacon. I avoid using ‘ordinary’ bacon where possible as the sodium nitrite that is commonly used is a known carcinogen. I can only find one brand of nitrite free bacon on sale anywhere around here. I’m not recommending this product. I don’t do that. It is just the only one I can find here locally. Adding a little bit of bacon, speck or porcetta, like this adds heaps of flavour. I don’t use very much. You don’t need to. One slice is enough, it’s only for flavour. Once this is cooked off, I add a couple of spoons of my home-made marrow bone reduced stock to fill out the flavour profile and create a creamy smooth texture. 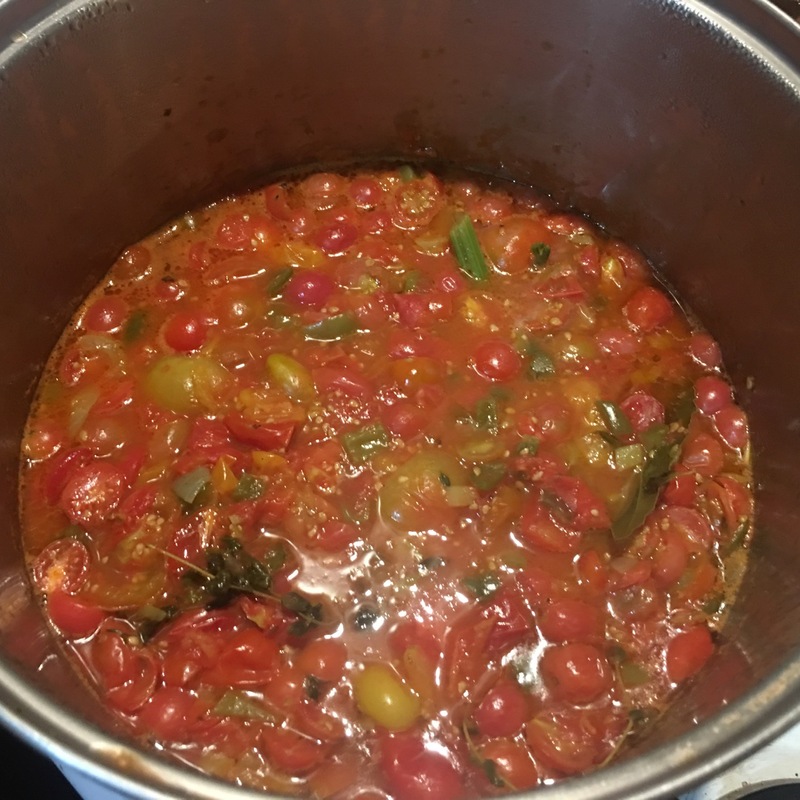 I add the beans in and a cup or two of my home-made tomato sugo concentrated sauce. 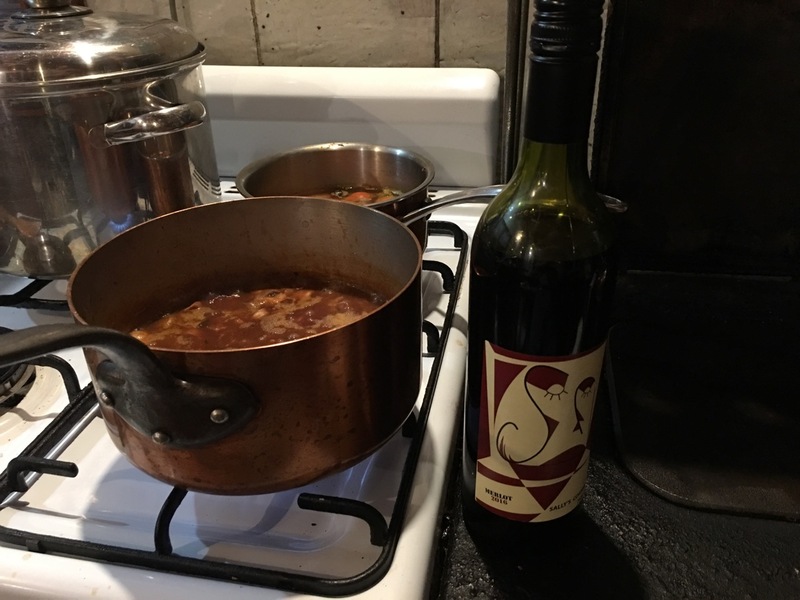 The last step is to add a dash of local gold medal winning merlot red wine and let it simmer for a few minutes to meld. 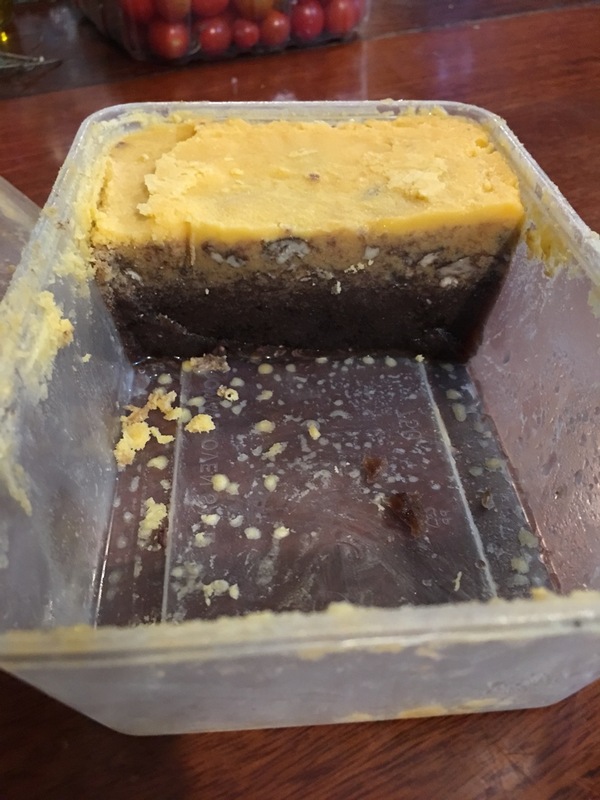 This entry was posted in cooking, In the garden, in the kitchen, self-reliance by hotnsticky. Bookmark the permalink.